We’ve talked with a bunch of steampunk fans that should probably be excited about Tai Chi 0. 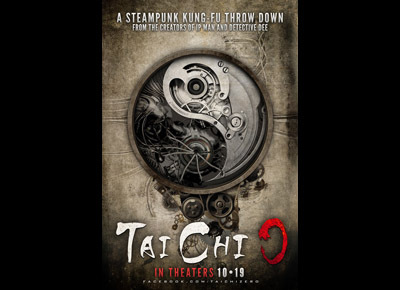 The movie poster shows a steampunk yin-yang and clearly states the theme with a tagline: A Steampunk Kung-Fu Throwdown. The film stars Yuan Xiaochao, Angelababy, Tony Leung Ka Fai, Shu Qi and is directed by Stephen Fung. The action is directed by legendary Hong Kong actor Sammo Hung. In legendary Chen Village, everyone is a martial arts master, and uses a powerful form of Tai Chi in all aspects of their life. Yang has arrived to try and learn it, only to find that it’s forbidden for the villagers to teach their secret style to an outsider. But when a mysterious man comes to town with a frightening steam-powered machine and plans to build a railroad through a village, the villagers realize they may have no choice but to put their faith in Yang, who has a secret power of his own. 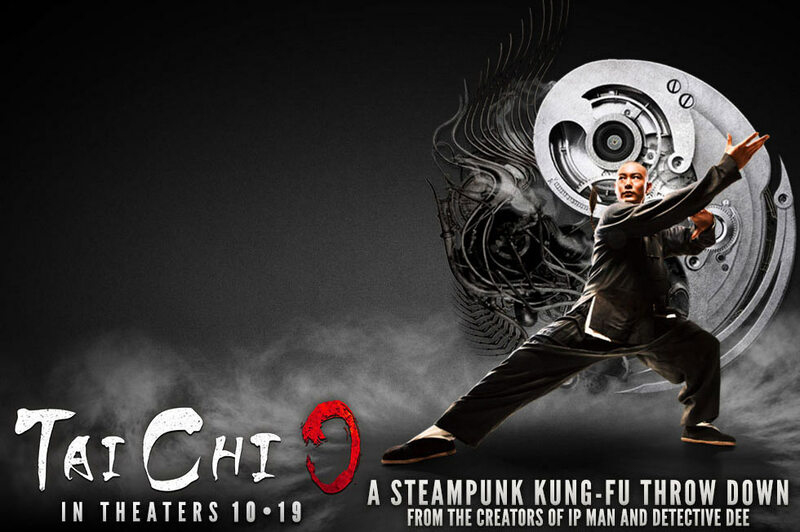 With action directed by the legendary Sammo Hung (Ip Man 1 & 2), Tai Chi 0 is a full-on steampunk kung-fu throw down that will knock you out of your seat. This entry was posted in Movies/TV and tagged Angelababy, kung-fu, Sammo Hung, Shu Qi, steampunk, Stephen Fung, Tai Chi 0, Tony Leung Ka Fai, trailers, Yuan Xiaochao on August 12, 2012 by Mark Azali.